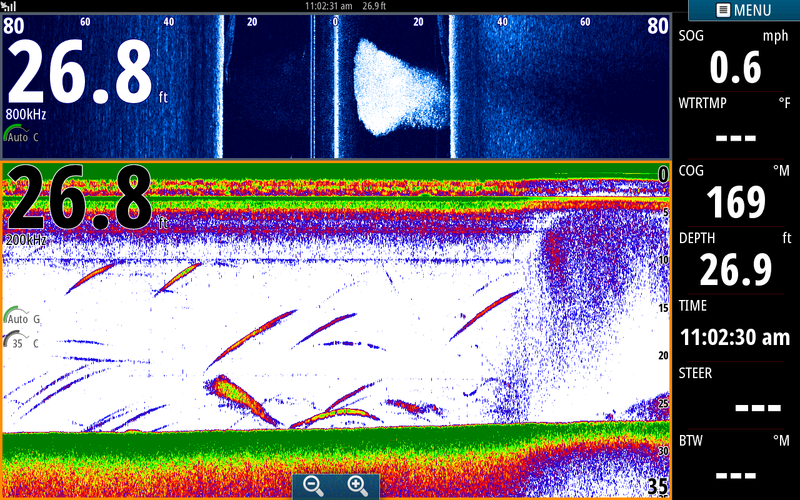 This is a screen shot of some extremely tight bait that I notices in the right side of my side scan on the upper blue page. Very seldom do I see it so tight and condensed so I put some downlines down, turned the boat and headed in that direction. Usually when bait is this tight there is a good reason for it. This shot was taken a couple minutes later and my intuitions were correct, there were Stripers on the other side of the bait ball getting ready to feed on the bait. 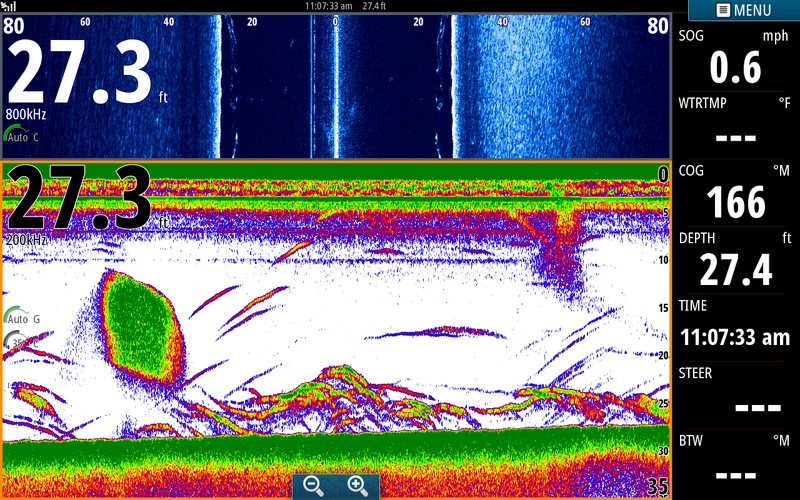 You can see the bait on the sonar page and the Stripers around it. 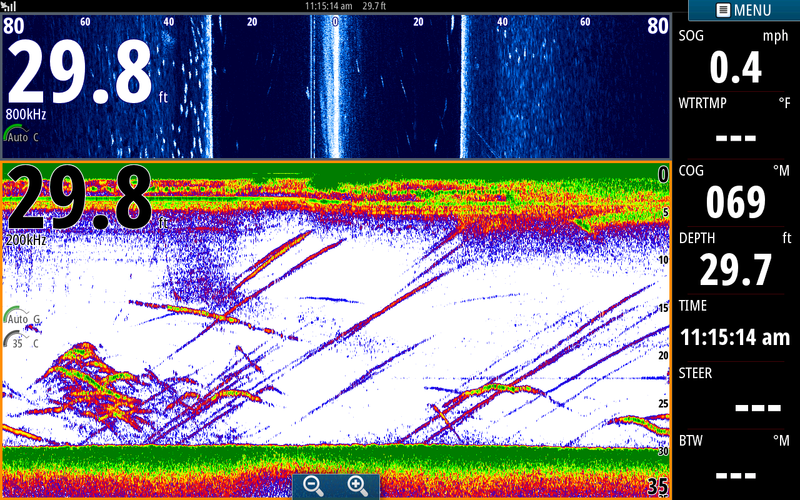 For the next twenty minutes we jammed the Stripers and this is a picture of a few of them off to the left side of the boat which is shown on side scan. We worked them till a pontoon boat trolled about 30 yards from us for the second time which spooked the school again.